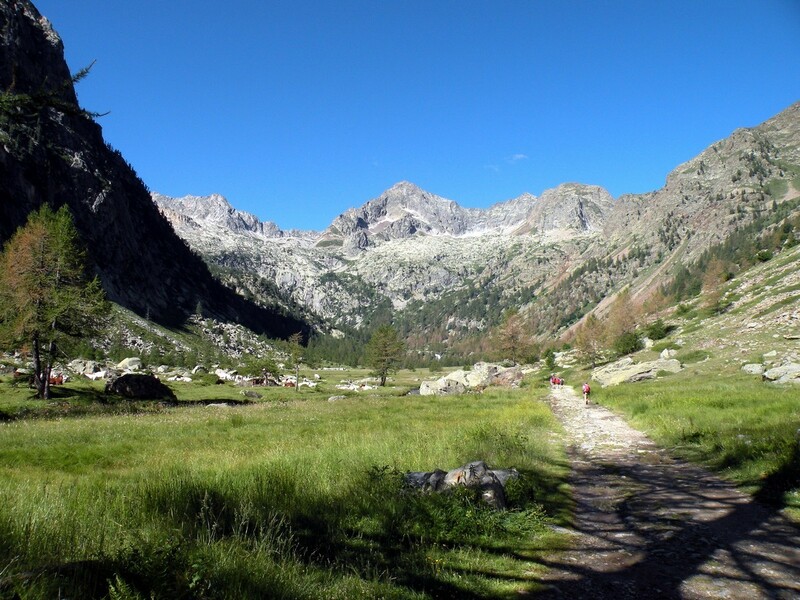 If the Valle Gesso were to have a flagship hike, it would be the Giro del Valasco. 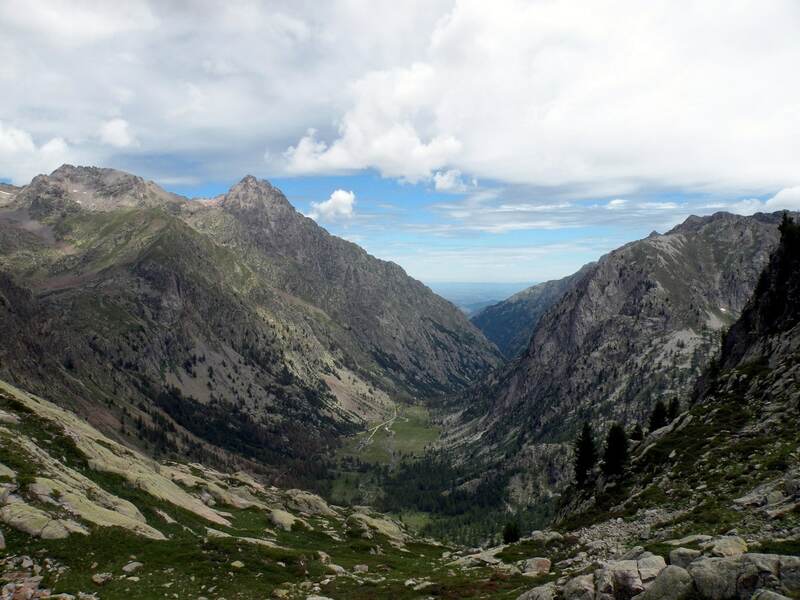 From the King’s Valasco hunting lodge, the walk rises to the military tracks, built by the Alpine army in the 30s.  They served to replenish the “Vallo Alpino” war system, which today is a monument to man’s talent and abilities, as well as to the stupidity of war. 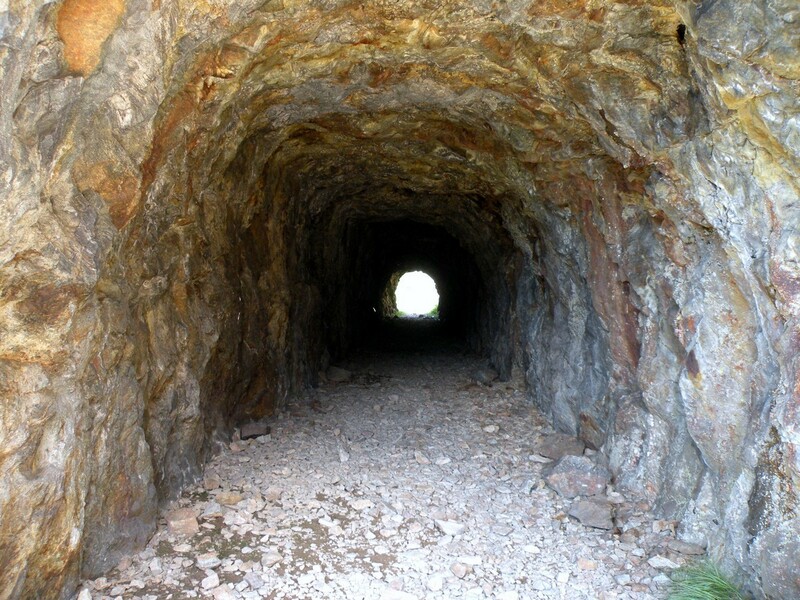 Overall, it’s a very popular trail. 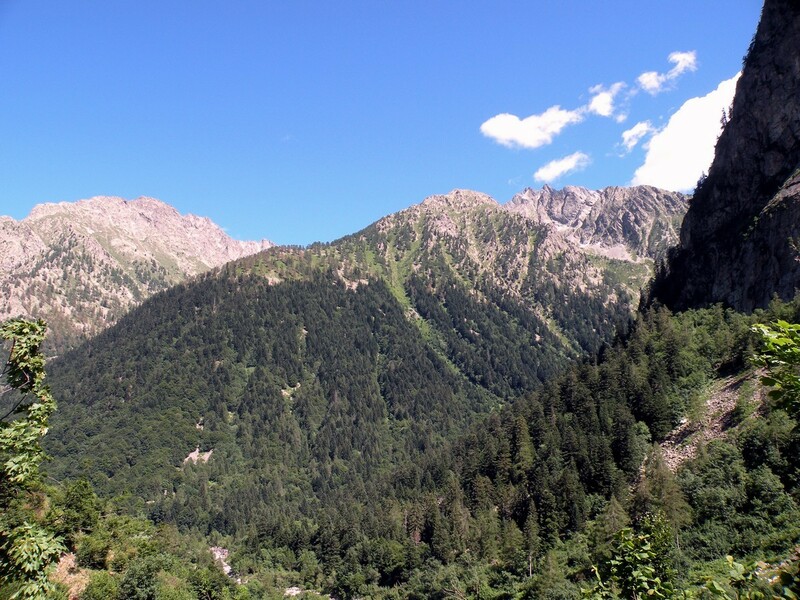 Make your way to Valdieri then drive 15.0km to Terme di Valdieri, in the direction of the French Border. To reach the starting point, park the car in Terme di Valdieri. 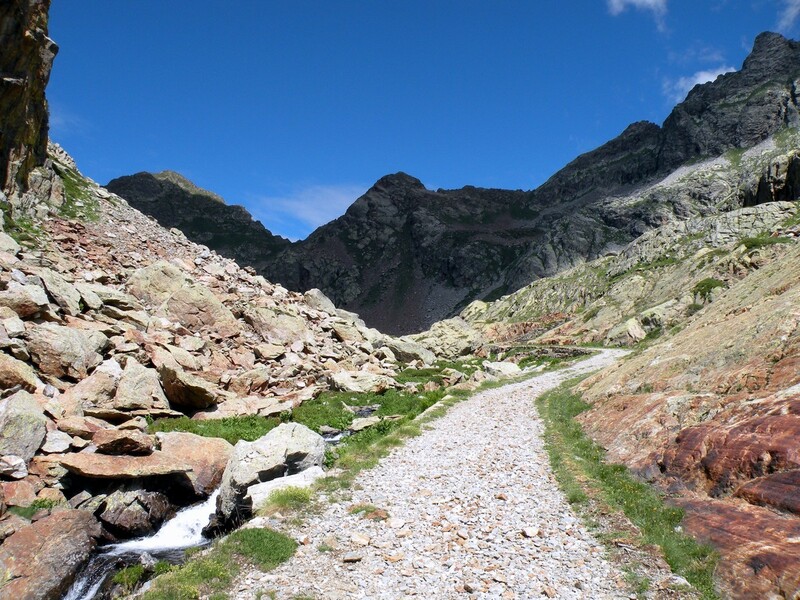 From Terme di Valdieri make your way along the trail to get to The Piano Inferiore del Valasco (1813m). You’ll have a magnificent view of the snow on the mountaintops. After fifteen minutes you reach the Casa di Caccia of Valasco, an ancient hunting lodge of King Vittorio Emanuele II. Now it is a Rifugio with great food and beds for weary travelers. Following the road on the right, you will reach the Piano Superiore in under 1h. There are some great waterfalls here. 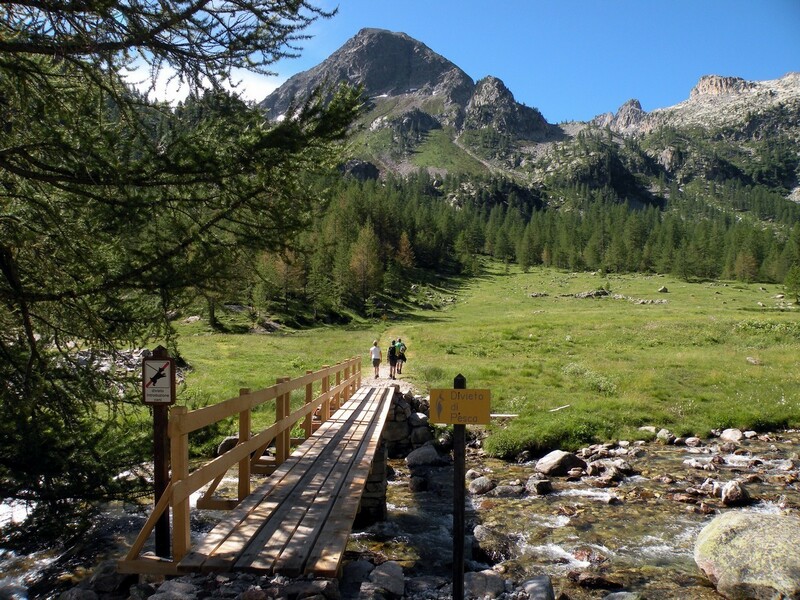 Then, you take the trail to the Laghi di Valscura. 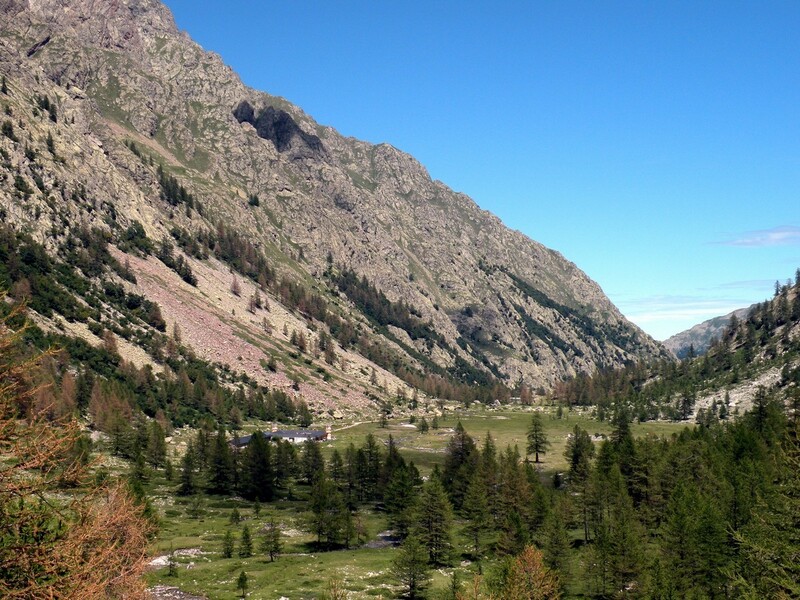 After a little over 1.5h you will arrive, thanks to the trails or the military roads, to the Laghi di Valscura 2265m) where you can see some barracks. 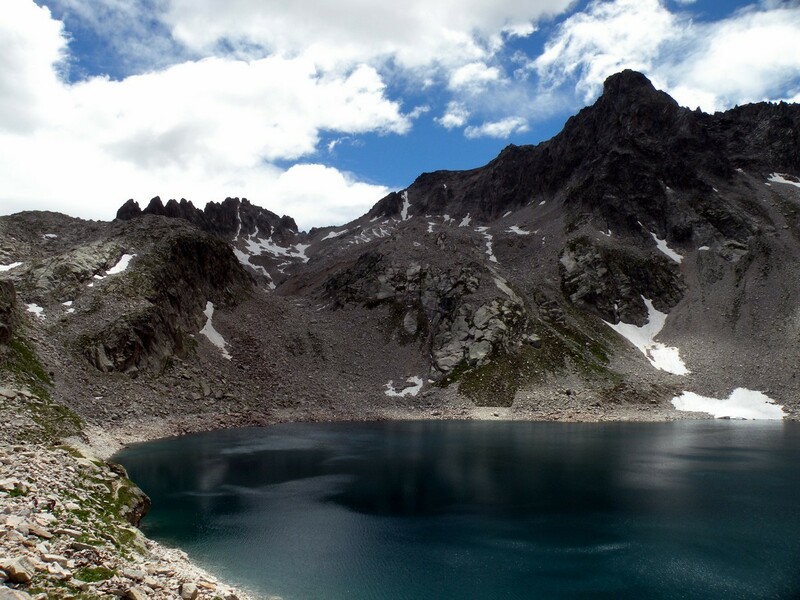 From the lake, on the left, you’ll follow a trail that will lead you to Claus lake, (2389m) a beautiful glacier-fed lake. 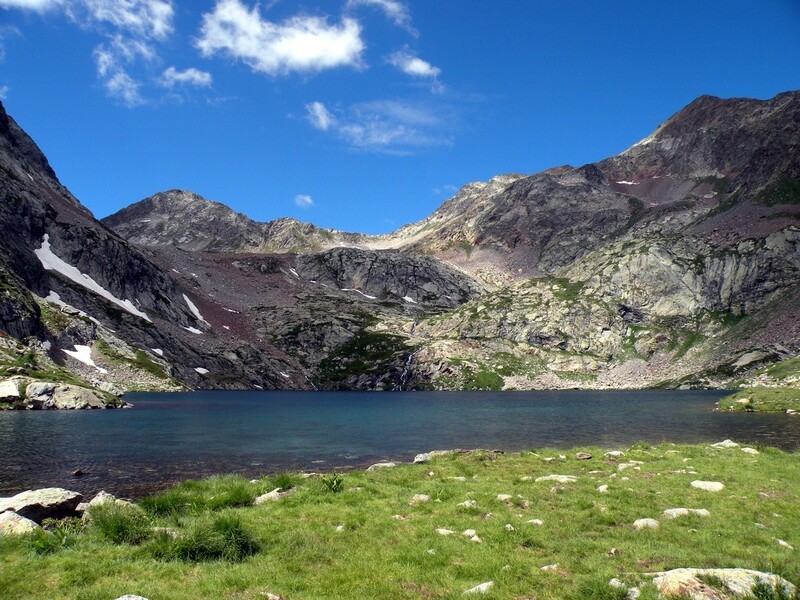 From Claus lake you’ll reach the Rifugio Questa (2389m high) in under 1h. 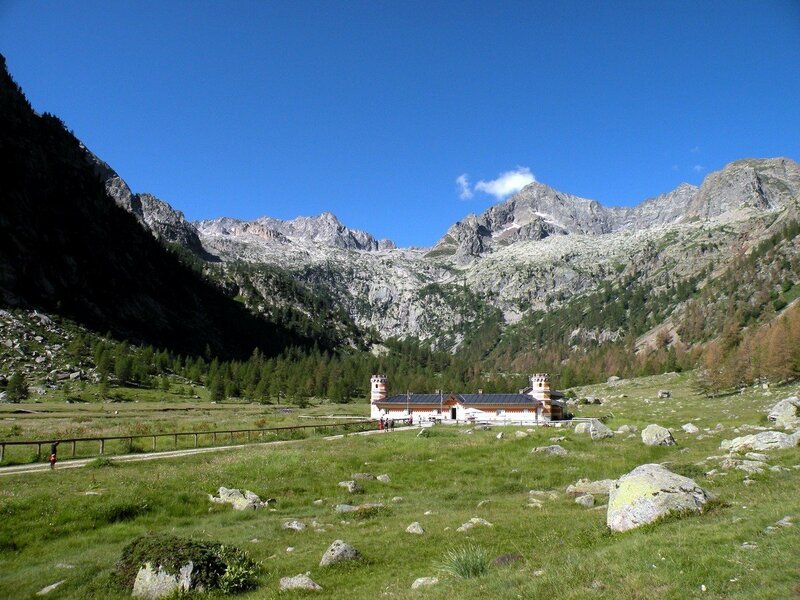 This Rifugio once was a military barracks but now is a great place for a break. 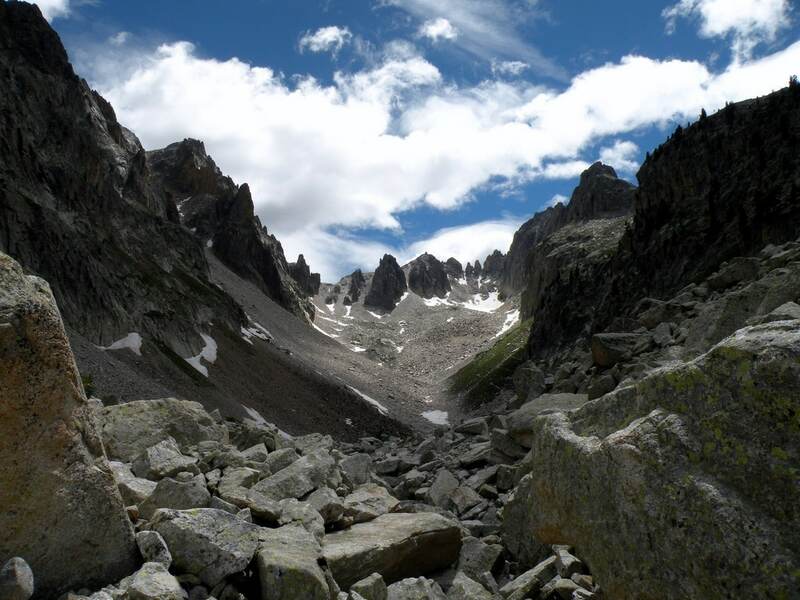 The view from here goes north, onto the Rosa Mount, the Cervino, and the Gran Paradiso. 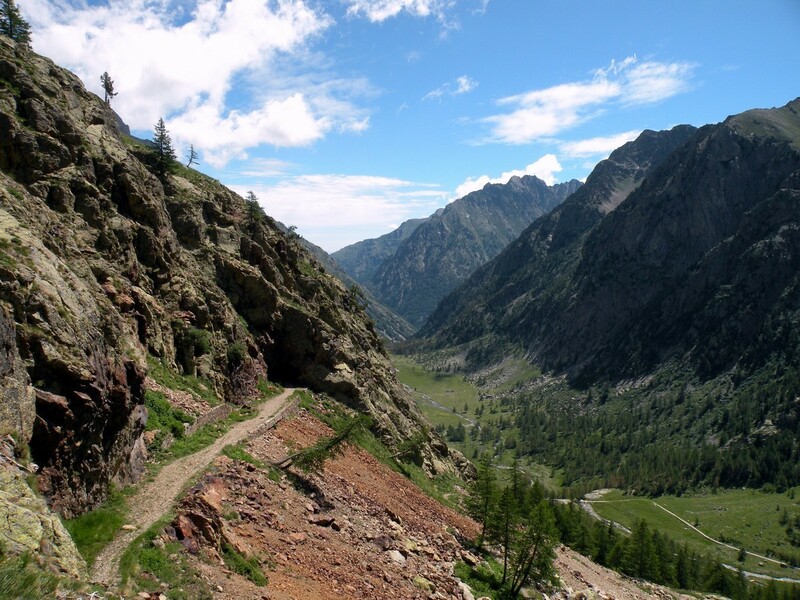 From the Rifugio, go past the building and continue on, following signs for Piano Inferiore del Valasco and then Terme di Valdieri. Once you’re back in Terme di Valdieri, you just need to remember where you parked your car! 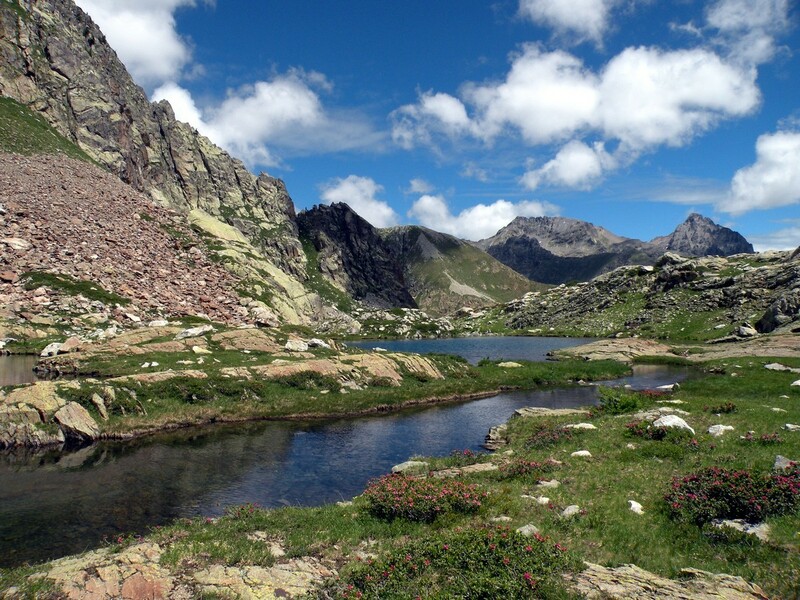 From Valasco you can reach the Laghi di Fremamorta, the Colletto del Prefous or the Bassa del Drous. 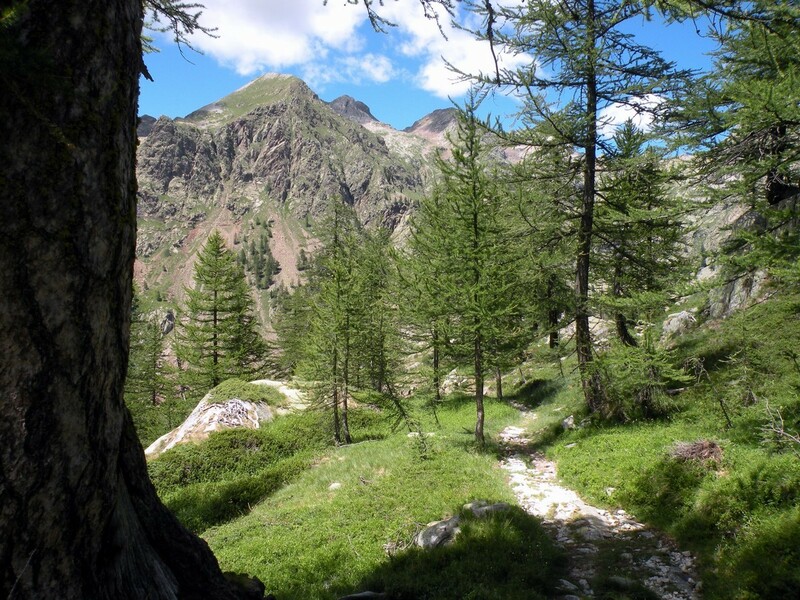 From the Colletto del Valscura you can reach the Valle Stura. They are all nice excursions. This is a long hike. 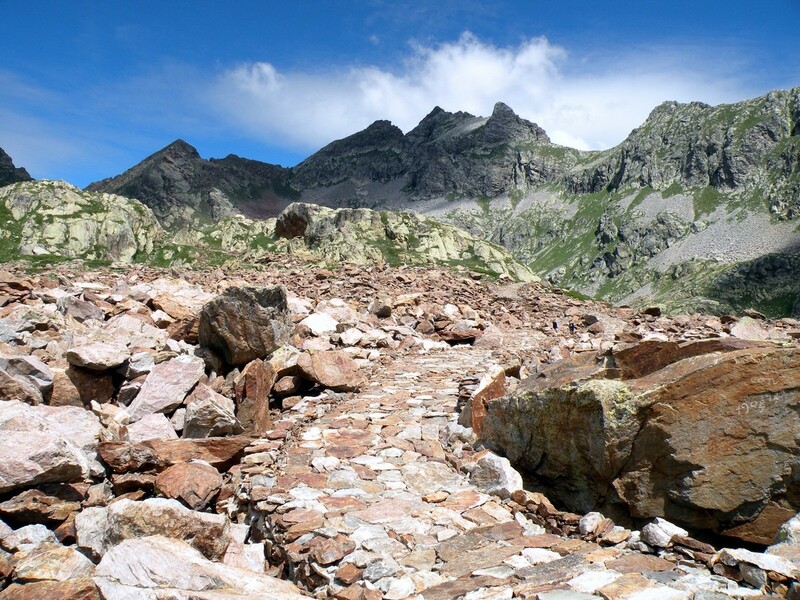 If you want to break it up stay at the Rifugio Valasco or the Rifugio Questa. 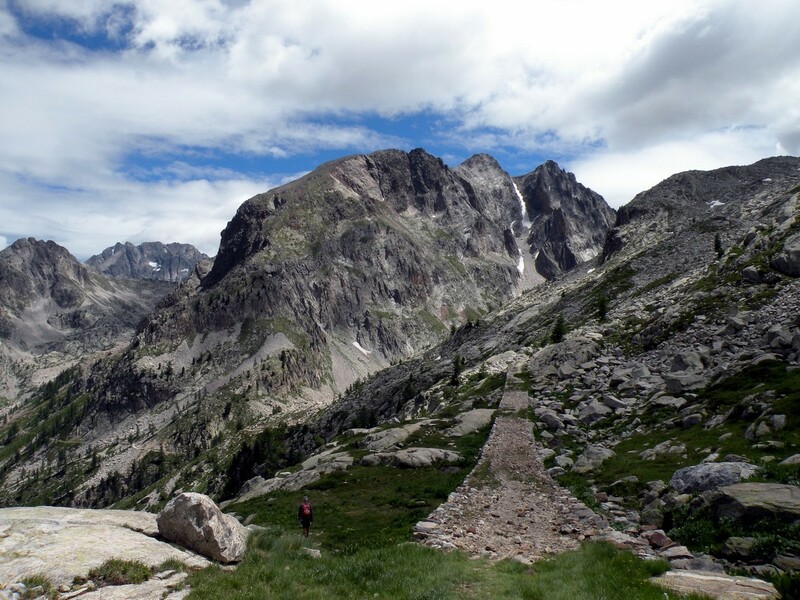 Hiking and staying at a Rifugio is a true alpine experience and this is the perfect hike for it.